Uganda's National Drug Authority (NDA), a national body that presides over the oversight and authorization of sale and distribution of drugs, does not have a National Formulary (NF) to outlaw and disallow importation of counterfeit drugs. This paper raises many questions relevant to drug authorization in Uganda and calls for response to the unresolved answers: What does NDA use to guide and control the marketization and selling of imported drugs in Uganda in the nonexistence of a National Formulary? What does NDA use to make a taxonomy between unauthorized and authorized drugs for general public use? 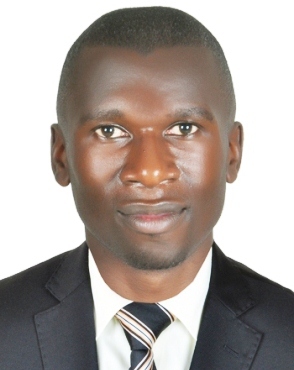 If the dead had an opportunity to voice out their very last second-chance entreaties and wishes, their Grade-A wish would be to return to the mortal world and lay-grab of the devious fake drug sellers and the lazy buyable and corrupt incompetent drug regulators in Uganda. Everybody desires to live a long-life free from disease. Therefore, selling one a counterfeit drug is undeniably an ill-timed death terminal condition given to a patient to find his/her treatment from the defunct immortal world of the deceased. It is an unendurable obnoxious shockwave to return to the medic for approval of the medicines you purchased at astronomically sky-high price from a health facility or pharmacy and s/he announces in your two earholes, that the medicines you bought don’t exist anywhere in the medicine bracket to cure your illness. If this happens to you, for while your individual-self can half -way pass-on after hearing the vulgarity loutish of this statement. Apparently this has grown into a wide abnormal-normalized deceptive sound lyric which Ugandans’ ears have conventionally and strongly got accustomed to. The outrage is seemingly spinning and bleeding the patients’ undying agony into an eternal psychological and financial hemorrhagic pain. The predicament is spiraling by-day due to the shocking and severely nerve-wracking flooded pond of fake and unregistered medicine drugs sold on the medicine market. This health firetrap has not seen any light of cure yet and no ultimate remedy in the policy space has been forthrightly fronted towards assisting those scammed through counterfeit medicines by the crooked and dishonest drug merchants. The National Drug Authority (NDA), a national body that presides over the oversight and authorization of sale and distribution of drugs, does not have a National Formulary (NF) to outlaw and disallow importation of counterfeit drugs. The NF comprises a list of drugs that are permitted for medical prescriptions all-over the Country, but this is non-existent thus exposing multitudes to an unescapable eminent death endangerment. The National Drug Authority Act under Section.8 (2) & (3) requires NDA (NDA, 2000) to make sure that the country has a NF and it further provides that “no person shall import or sell any drug unless it appears on the National Formulary.” This NF similarly encircles significant information evidence on the description, composition, selection, recommendation, prescription, administration and dispensation of medicines, which has not been considered yet. Shamefully, the NDA Act was approved and passed in the year of 2000, but unfortunately the Formulary has not been established yet into reality to help the citizenry. What does NDA use to guide and control the marketization and selling of imported drugs in Uganda in the nonexistence of a National Formulary? What does NDA use to make a taxonomy between unauthorized and authorized drugs for general public use? This is a geometrically growing trend of counterfeit pharmaceuticals far-and-wide recognized as a public health threat and a serious concern to the health advocates, researchers, consumers and public health officials. According to the World Health Organization reports, in many countries counterfeit prescription drugs cover as much as 70 percent of the drug stock supply and have been accountable for the legions of deceases in the world’s most impoverished nations. In 2016, a report by newz Ug (Ug, 2016), after the fake malaria medicine distribution and consumption, the NDA warned against a counterfeit malarial drug Coartem with the Green Leaf AMFm wallet packs that is found on the market with pack details Batch number NOF 2153, Date of manufacture: 062015,Expiry Date 07 2018. Further in the recent past, the NDA approved the selling of Valsartan drug used in the treatment of high-blood pressure, usually in combination with other anti-hypertensive drugs. However, on Thursday 16th August 2018 (NDA M. , 2018) NDA recalled the drug after its distant-wide distribution on the market justifying that they had discovered some brands of this drug were manufactured using an ingredient potentially contaminated with an impurity called N-nitrosodimethylamine (NDMA), which is classified as a probable human carcinogen (a substance that could cause cancer). Now these drugs for way too long have been sold on the market, so, who did authorize them? Why does NDA wait every passing year to do a regulatory scrutiny and research on risky medicines such as Valsartan and fake Coartem after procuring them and distributing them to the public for health treatment? The patients who took these medicines, were they diagnosed to establish the status of the Valsartan and fake Coartem’s effects on their health? Was the awareness information broadly enough disseminated to help the vulnerable patients who had already subscribed to the deathtraps of these drugs? Were the patients compensated for the financial losses incurred through buying these fake drugs? The absence of a Formulary now clearly justifies the rapidly increasing number of fake drugs in the health centres, drug shops and pharmacies. Additionally to the pharmaceuticals, medical devices and other medical-related products are also faked, comprising blood-glucose, spectacles’ contact lenses, test strips, surgical and clinical instruments, and even sexual reproductive commodities like condoms and pills. Research shows counterfeit drugs often comprise inappropriate quantity of active substances or no active substance at all. In long-run, through use of counterfeit drugs, illnesses’ prevalence continues untreated which results in treatment failure, amplified resistance to treatment, and even may cause death, thus intercepting people’s right to proper health. Many counterfeits have inactive pharmaceutical ingredients — they comprise ineffective ingredients, these ingredients contain chalk, flour, vitamins, talcum powder, or sugar, which, when taken with an anticipation of having a pharmacological effect, can be deadly. – Supply and procurement related concerns that consist of irregular stock of pharmaceutical commodities due to a void in the forecasts and health strategic plans leading to stock-outs thereby creating a vacuity that counterfeit merchants start to fill. – The vacuum in the legislation and monitoring of the drugs in pharmacies, health centres and drug shops are vehicles fuelling and incentivizing the prevalence of counterfeit medicines. In that counterfeited stuffs pass through the procurement and eventually the supply chain undistinguished and undetected, and even when noticed, there are inadequate and unsatisfactory legal mechanisms to indict those implicated. Therefore with a deficiency in effective and operational mechanism to monitor the supply sequence, the challenge can only deteriorate. – Management and handling of drugs by inexperienced and untrained health personnel in medicine outlets, this correspondingly increases chances for counterfeit drugs because numerous indicators of counterfeit drugs necessitates generic medicine knowledge and understanding of the technical pharmacological interpretation before the dispensation of the medicines to the public. In our proposed recommendations therefore, The Government should re-consider strengthening The Anti-counterfeiting Goods Bill, 2015, (Watch, 2015). This bill in Section 10 provides for confiscation and imprisonment of the person indicted and found guilty of the counterfeiting crime; the Bill in general goes on to provide for return of the counterfeit items to the country of origin; however, more emphasis should be put on withdraw of licenses from the importers as an ultimate solution to reduce the vice. Relevantly, the ongoing and devastating growth trend of the fake drugs has heavily been caused by the lazy and incompetent regulators who have intentionally continued to use the national drug register instead of the National Formulary (NF). The absence of a Formulary undoubtedly vindicates the ever persistent increasing number of fake drugs in the health centres, drug shops and pharmacies. Stringent assessment, monitoring, usage and clearance of drugs are called for to reduce the delay in identification of counterfeits. In most cases the drugs are discovered to be fake after when they have hit the market and consumed by the population. Therefore proper assessment and monitoring of the medicine supply chain stages should be emphasized before the final drug usage. Distribution of drugs in the licensed pharmacies and health centres should be done by an authorized, qualified and well trained health practitioner. This is because many medicines in the drug outlets are handled by untrained health personnel who literally have very little generic medicine knowledge and understanding of the technical pharmacological interpretation for the public. Aine, K. (2018, April 25). Uganda Drug Authority Lacks Manual to Block Fake Medicine. Kampala, Central, Uganda. Jaramogi, P. (2011). Fake drugs flood Kampala. Kampala: New vision. NDA. (2000). THE NATIONAL DRUG POLICY AND AUTHORITY ACT. Kampala: NDA. Ug, n. (2016, October 13). Shock as National Drug Authority recalls six fake drugs. Kampala, Central, Uganda. Watch, P. (2015, October 16). The Ant-Counterfeiting Goods Bill, 2015. Kampala, Central, Uganda.